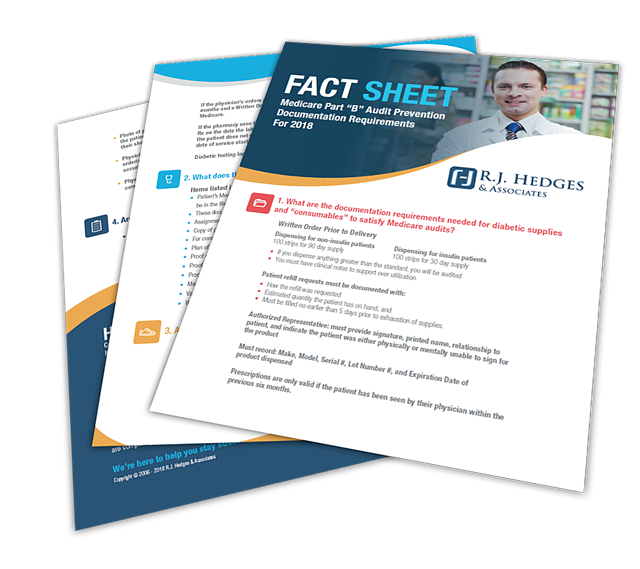 Download Your Fact Sheet on Medicare Part "B"
What are the documentation requirements needed for diabetic supplies to satisfy Medicare audits? What do the Medicare DMEPOS patient files need to contain? Are there any special requirements for Diabetic Shoes?